ok. i lied about the last screenshot being the last one with this phone. i just have not gotten around to grabbing a new phone yet and this one works fine (for now). 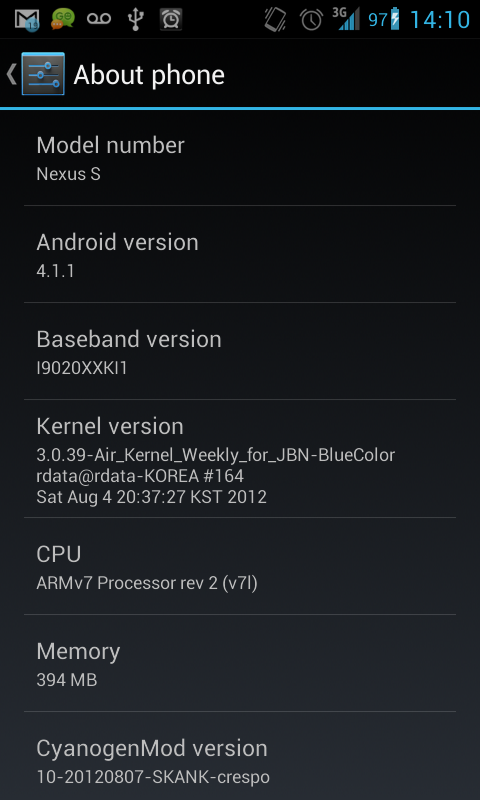 in this screenshot, the nexus s (crespo) is running android 4.1.1 (cyanogenmod skank nightly) with a custom kernel (jbn weekly). recovery was upgraded to clockworkmod recovery touch (thanks Koush) and running smooth and pretty stable so far. grab the source from XDA.